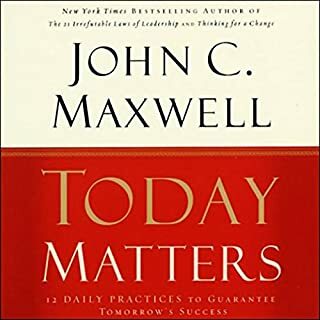 Drawing from the text of the BusinessWeek best seller Today Matters, this condensed, revised edition boils down John C. Maxwell's 12 daily practices to their very essence, giving maximum impact in minimal time. Listeners will learn how to make decisions on important matters and apply those decisions daily to put them on a path to more successful, productive, and fulfilling lives. This is an awesome book! If your reading this your thinking about it so go for it. He uses 12 topics or principles that every person should have in their day. He calls it the daily dozen. I feel if you could just use one or two and apply them to your life it would be worth the money. 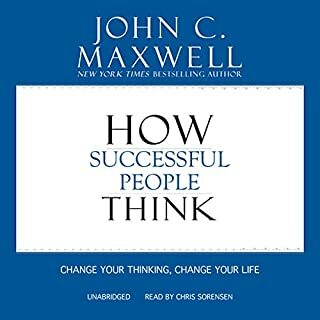 I have listened to this book three times and plan on listening to it more until I have all the daily dozen memorized with the facts behind them. This book really has the ability to change your life if you let it. The thing about the daily dozen is they arent principles out of reach. Anyone can live by them or apply them. And on the finance principle, let me recommend Dave Ramsey for help on that. On the Faith principle, let me recommend Jesus Christ. He changed my life more than anyone ever has. The audio book content, the narrator, every thing perfect! This is one of the very few audio books I intently enjoyed listening to, from the beginning to the end. It makes us become aware, with the very essential aspects of life that we take for granted or even never given thought to. It is very well elaborated and easily presented by the narrator. I definitely recommend this book to any one, and I mean any one! I will unquestionably rat it five stars. 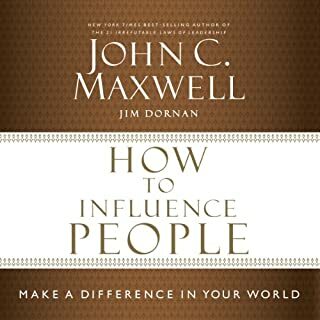 I listen to about 60 books per year and several of them are by John Maxwell and many of them are not. 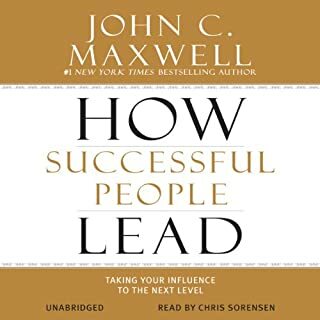 and this book here is by far in the top five books I have ever listened to. Very informative and great guide to helping to determine how important your daily routine is. This book is a disappointment; the author regurgitates the same old "don't let your life slip away" lines. He presents a few commonly understood "principles" and spends the other 90% of the book talking about himself to illustrate his points. This would be fine if the reader learned something new....not the case here. Save your money. 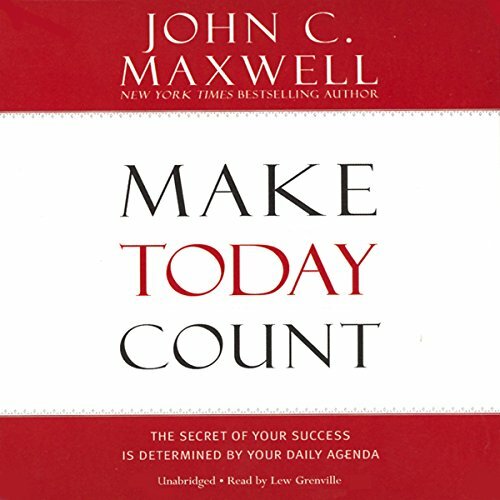 Make Today Count was an excellent audio book. I will apply the lessons learned to my daily way of living. The author has kept the elaboration of each topic discussed in this book precisely to deliver the message as required. Good concepts have been dealt & defined with clarity by offering appropriate suggestions to handle situations/circumstances. 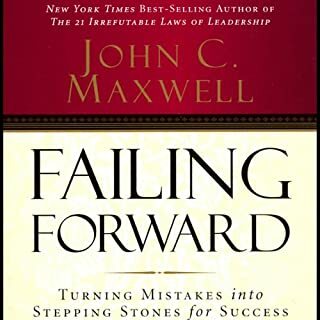 After listening to this audiobook I have become an ardent fan of Mr. Maxwell's writing. 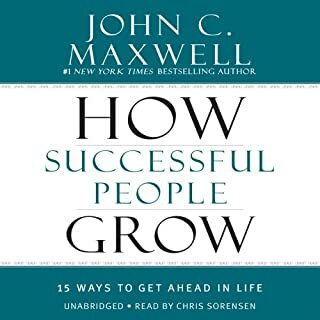 I look forward to applying many ideas from this book & will surely read other books from the author on topics of self development, personal growth & leadership. I just felt like it wasn't what I was expecting from the title. I feel like he kind of just dragged on at times. Who would you have cast as narrator instead of Lew Grenville? Did Make Today Count inspire you to do anything? I was inspired by one part of the book. When he explained his daily dozen. I took notes and will attempt to apply to my life.